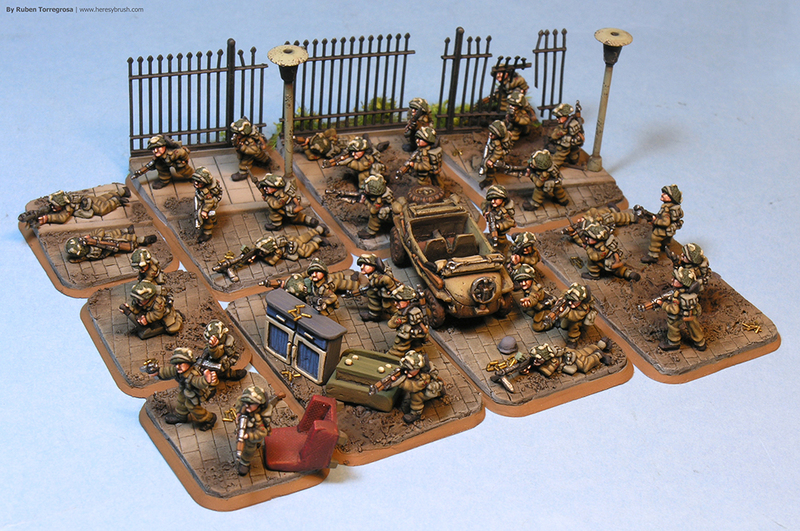 Today we bring you another videotutorial which explains how to paint WWII British infantry in 15mm, using a miniature from Battlefront (Flames of War). Although the British army isn’t not as much attractive as the German one (it don’t have many camouflages! ), it’s one of my favourites. 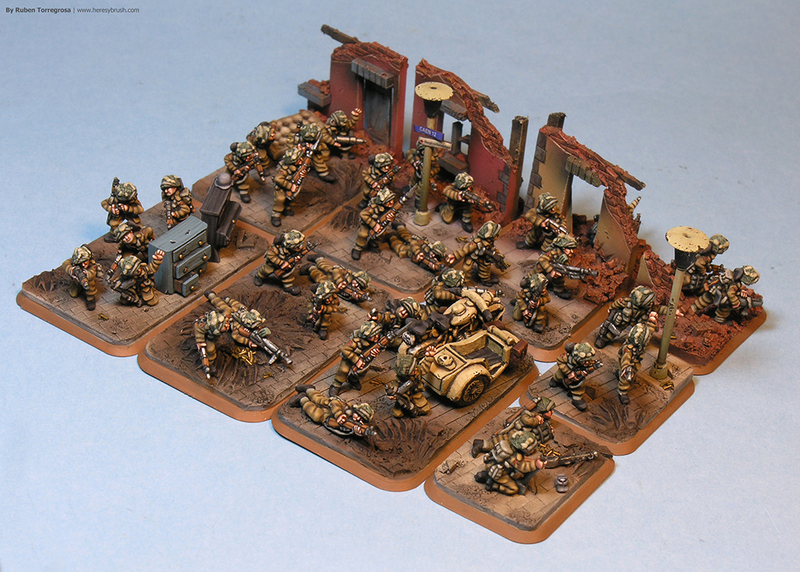 And because I was painting a couple of platoons some time ago, I exploited that to prepare a small videotutorial. 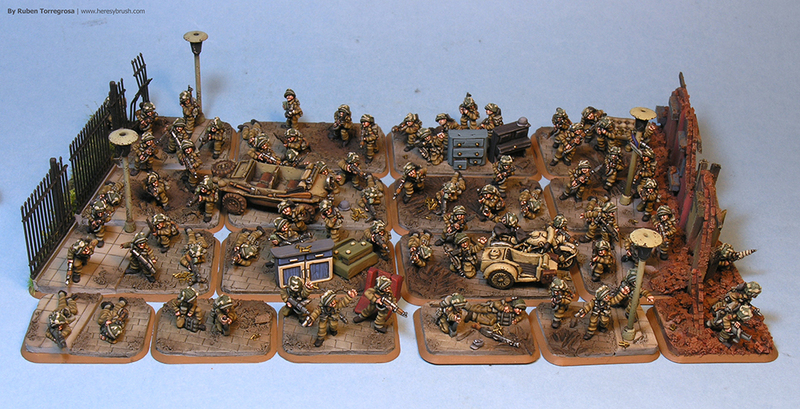 In only a dozen of steps we can paint our warriors!. 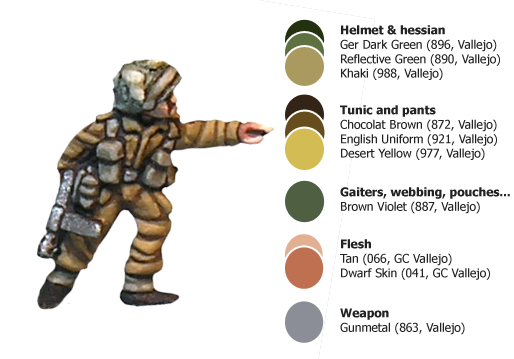 In addition, if you are interested, you can find the whole tutorial in the following link (in Spanish): HeresyBrush – Videotutorial: how to paint WWII British infantry.